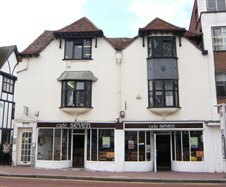 8-10 High Street, Kingston upon Thames has just been let to "Afters", the ice cream parlour chain. Fit out works have commenced and opening is planned in the next 2-3 months. If you are looking to let your retail premises in Kingston upon Thames please do not hesitate to contact Cattaneo Commercial.